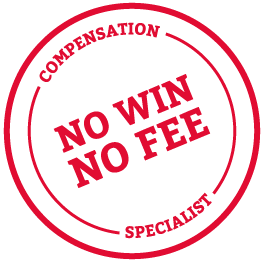 Thompsons Solicitors' No Win No Fee Solicitors package is designed to remove any worry regarding your financial situation so that you can concentrate on seeking the compensation to which you are entitled without being saddled by the burden of stressful financial concerns. Whatever your injury or accident – whether you have suffered burn injuries in an accident at work, have suffered poor health as a result of a faulty medical device or are looking to help a relative claim compensation for a serious injury sustained in a car accident – we can help you achieve the fullest possible sum of compensation while giving you the peace of mind that your legal advice and representation will cost you nothing unless, and until, we win your case for you. This means that in the unlikely event your case fails there will be absolutely no cost to you. And when your case succeeds our fee will be capped at the rate agreed with you at the start of the claim through our clear and transparent fee structure. At Thompsons we don't like to see people losing out on their legal rights simply because of legitimate financial concerns. In our view, when structured in the right way, No Win No Fee is a great leveller – it gives you the opportunity to pursue your legal entitlement with confidence even when taking on a large employer or other powerful defendant. When we say "No Win No Fee" that is exactly what we mean. This means that unless you win, you make no financial outlay whatsoever. There are no hidden costs, no caveats, and no small print. In straightforward terms, this means that if your compensation claim case is unsuccessful then you walk away paying no fees to your solicitor or anyone else concerned with the case. Click on the links below for more information. Or give us a call on 0800 0891 331 and one of our specialist personal injury lawyers will be happy to chat things through, free of charge and with no obligation. As a law firm, Thompsons Solicitors are regulated in every aspect of their business by The Law Society of Scotland. That includes our No Win No Fee arrangement. You can therefore be entirely confident that our No Win No Fee solicitors agreement has met the rigorous regulatory requirements set down by The Law Society of Scotland. If you have sustained injury in an incident caused by the negligent actions or omissions of another party, we can help you achieve the fullest possible settlement of compensation with no financial risk on your part. Thompsons Solicitors can confidently lead your case to the best possible outcome, as we win nine out of ten cases we take to court. When your claim is successful, a percentage of your compensation will be used to pay our fees. Our fee is capped and will be clearly outlined and discussed with you from the outset of your claim. There are no hidden costs or unexpected surprises. In most cases, our fee will not exceed 20% of the damages*, while many other personal injury firms will charge more. Each case is different, and the capped percentage will be discussed with you individually before you decide to go ahead with your claim. You can rest assured that we will always put your best interests before anything else and therefore endeavour to keep our fee to a minimum. Call us on 0800 0891331 to see how much you could claim. We are the largest personal injury firm in Scotland and each week we secure our clients around £1 million in compensation.